The disease is present in all populations and its frequency vary from 1 of 40,000 to 1 of 1000000 born alive.The frequency of healthy carriers can reach 3% of the general population. The disease is present in all populations and its frequency vary from one country to another, because of different rate of consanguinity and of clinical capacity to differentiate it from similar diseases. The incidence of the USA population was estimated with 1 to 40,000 born alive. The frequency estimated by the healthy carrier is of 0.5–2.0% in the general population. 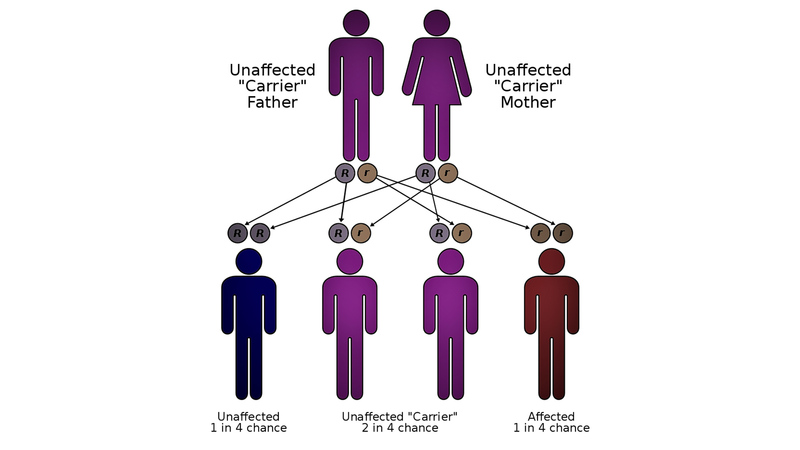 An epidemiological study conducted on 72 Italian families with AT related to the Italian Register for Ataxia Telangiectasia (IRAT) extrapolated, on the basis of coefficient of consanguinity, a theoretical frequency of the disease of one patient over around 700 born alive and a frequency of healthy carriers from 1.69 to 3.43% of the population. The medium survival of the patients with AT is estimated around at 19 – 25 years, with a wide variability and independent of the gravity of neurological manifestations. Usually the death occur because of recurrent bronchopulmonary infections associated to a state of cachexia or, in 10-15% of cases, because of tumour. In the last twenty years the life expectancy of the subjects with AT is, however, remarkable increased due to the general improvement of life conditions and therapies, so that nowadays many patients reach 25 years and some of them survive till 40 and 40 years. In the literature are reported rare cases of patients with a very mild form of the disease who had an almost normal life, even having children. At the longest lived patients, the respiratory failure is the major case of morbidity and mortality.